Several years ago, the doorbell chimed while I was writing a scene about a character named Lime Boy. When I opened the door, my brain just about fell out of my skull; Lime Boy was standing on my front porch. He looked exactly as I had envisioned him–young face beneath emerald hair, ripped clothes, whiff of clove cigarettes on his leather jacket. I glanced around to see if any of my other characters had materialized. Lime Boy shifted uncomfortably as I gawked. “I’m here to pick up Chelsea?” he finally said. His mom worked for my son’s friend Chelsea’s mom, it turned out. His name had nothing to do with fruit. I nodded and went to get my son’s friend, a mix of relief and disappointment flooding my veins. After the initial freak out, how amazing would it have been to meet one of my characters in person, to see him in all three dimensions, to hear his voice outside my own head? My writing has since played itself out in the world in surprising, if not quite as dramatic, ways. When I went through the proof pages for my 2010 novel Delta Girls, I came to a line where a character says, “My mother killed herself, you know.” Air shot out of my body as if I had been kicked in the gut. My own mom had killed herself just a few weeks before. I had forgotten that aspect of my character’s history and was taken aback by how casually he could say those words. Had I been subconsciously preparing myself for my own mother’s death? Her suicide had been so unexpected, but perhaps some part of me had known? My writing self definitely knows more than my everyday self—sometimes, it seems, it may even know the future. In 2011, I decided to publish my novel The Book of Live Wires as an ebook. I had written it — the sequel to my Bellwether Prize-winning novel, The Book of Dead Birds — during National Novel Writing Month in 2002 and hadn’t looked at it since. Writing it had been a way to get back into my creative flow and reconnect with my characters; I wrote it for myself, never imagining I’d share it. Several people had asked about a sequel over the years, though, and I finally decided to dust it off to celebrate the 10th anniversary of the Bellwether Prize. I’m not the only writer who has experienced strange coincidences between fiction and real life. But often fictional coincidences are much more personal in nature. In Carol Muske Dukes’ 2001 novel, Life After Death, the main character’s husband dies of a heart attack on a tennis court. Shortly before the book was published, her husband, the actor David Dukes, died of a heart attack on a tennis court. He had never been diagnosed with heart disease; there were no warning signals before that day. I asked my Facebook friends if their fiction has ever played itself out in the world. I can’t explain any of this, of course. It definitely feels pretty “woo,” but then again, much of the writing process does–who knows where stories really come from? Who knows how characters come to take on their own lives? It’s all very mysterious. I don’t necessarily think this is a case of writers being more attuned to the ethers than the average person. I don’t think it’s about writers wielding some sort of magical power (other than a hefty dose of magical thinking, perhaps). These coincidences between fiction and life could all be random, without any larger pattern or meaning. But I do know that language itself has power. In the beginning was the Word. When we play with words, we tap into something much bigger than ourselves. One of my favorite picture books as a child was Just Only John by Jack Kent. In it, John buys a penny magic spell, not knowing what sort of magic it holds. It turns out that when anyone calls John a name—”Bunny,” “my little lamb”–he turns into that thing. It made sense to me. I knew even then that language could profoundly change a person, down to their very molecular structure. The phrase “Speak of the devil and he’ll appear” makes me a little nervous as a writer, even though I don’t believe in the devil. I certainly don’t hold Carol Muske Dukes culpable for her husband’s death, but I’ll admit that I have hesitated at times to write about bad things happening to my characters–especially their children–for fear it will come true in real life. I’ve always tried to push past this resistance, though; I know writing is a safe place to deal with fears, to address the darker corners of our world and our selves, the What Ifs that scare and intrigue us the most. If I didn’t have writing as an outlet, who knows where all this fretting would channel itself? Still, I can’t help but shiver a little–with pleasure, with terror–at the power of the pen. I think part of me will always wonder if my characters are going to come knocking on my door. Gayle Brandeis grew up in the Chicago area and has been writing poems and stories since she was four years old. She is the author of Fruitflesh: Seeds of Inspiration for Women Who Write (HarperOne), Dictionary Poems (Pudding House Publications), the novels The Book of Dead Birds (HarperCollins), which won Barbara Kingsolver’s Bellwether Prize for Fiction of Social Engagement, Self Storage (Ballantine), and Delta Girls (Ballantine), and her first novel for young readers, My Life with the Lincolns (Holt), which won a Silver Nautilus Book Award and was chosen as a state-wide read in Wisconsin. She released The Book of Live Wires, the sequel to The Book of Dead Birds, as an e-book in 2011. Brandeis had two books published in 2017: a collection of poetry, The Selfless Bliss of the Body (Finishing Line Press) and a memoir, The Art of Misdiagnosis: Surviving My Mother’s Suicide (Beacon Press.) 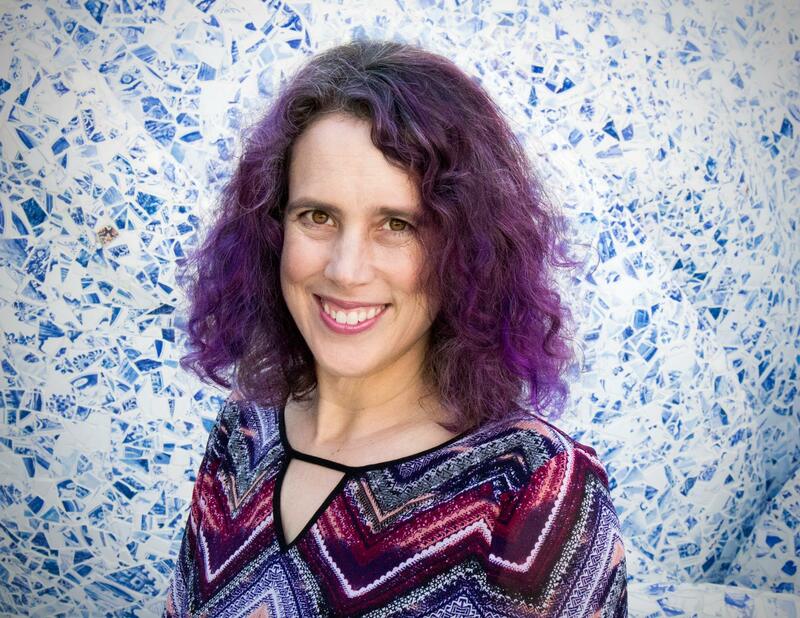 She teaches in the low-residency MFA programs at Antioch University in Los Angeles and Sierra Nevada College and is editor-in-chief of Tiferet Journal.